Brio has been around for quite a while but I have never eaten there only had a takeaway smoothie. It is in trendy Teneriffee on a shady street with lots of outdoor seating. The menu had lots of different options that didn’t really to go by any theme at all. I decided to have the yoghurt panacotta with house made granola and berry compote $11.50. 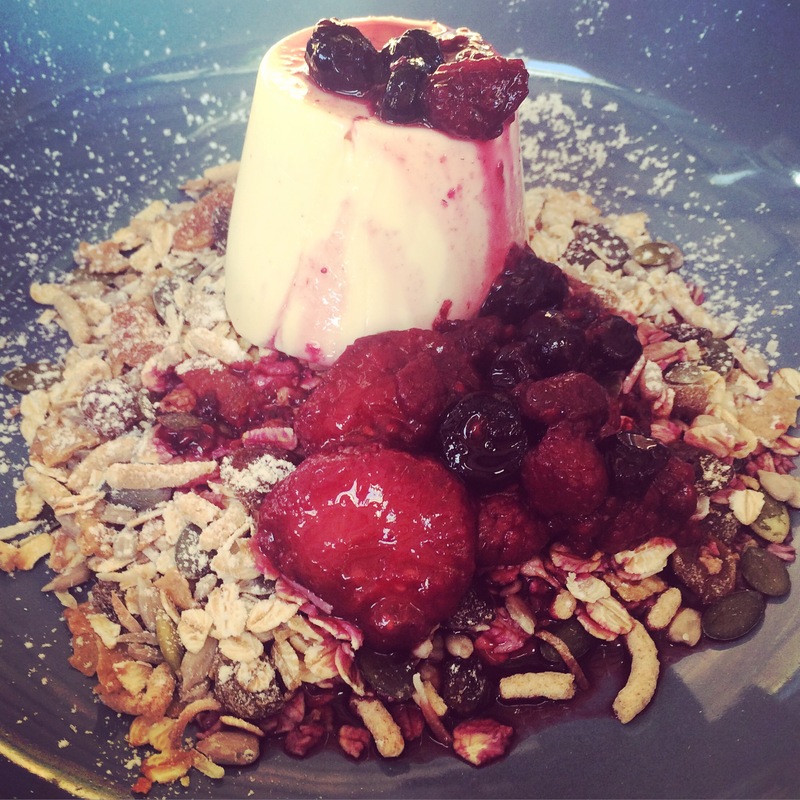 I don’t often choose muesli when I am out but the panacotta was delicious and the perfect size. 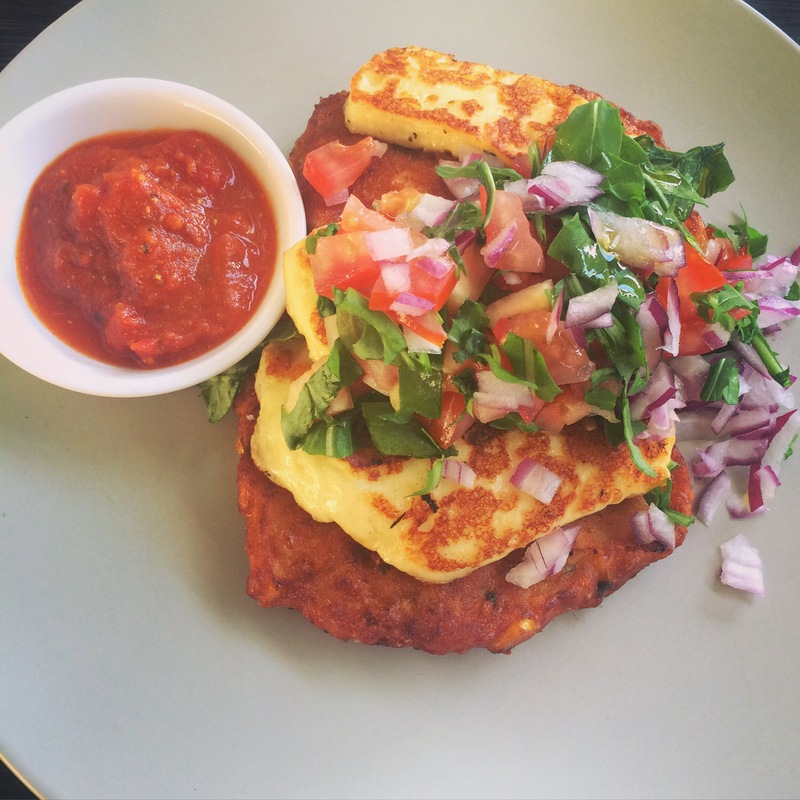 We also decided to have the corn fritters with grilled haloumi and fresh tomato salsa and a poached egg $17.50. We actually asked for no egg due to the large size of the fritters alone. Without the egg they were the perfect size – with the egg they would have been ginormous. Going back to basics we had the eggs your way on sourdough toast $9.80 with a side of avocado $3. The eggs were cooked well and all the ingredients were fresh and delicious. I didn’t get a change to try the coffee. One of my companions ordered a Green Tea with Jasmine and I ordered the Mango Tango Smoothie $8.50. Last time I had the smoothie it was delicious and topped with toasted coconut. This visit they forgot to make the smoothie!! I reminded them about it and they were so stressed about delivering it that they added way too much vanilla not enough mango and no coconut! It was undrinkable! It was a real shame that they were so frantic after forgetting my smoothie order. The rest of my experience was very pleasant. Brio is on Vernon Terrace and walking distance from the cross river ferry, city cat and city glider bus route! There is lots of outdoor seating. The Verdict: Brio was a good little spot for brekky. It had some great highlights but unfortunately some negatives as well. Overall 6/10. 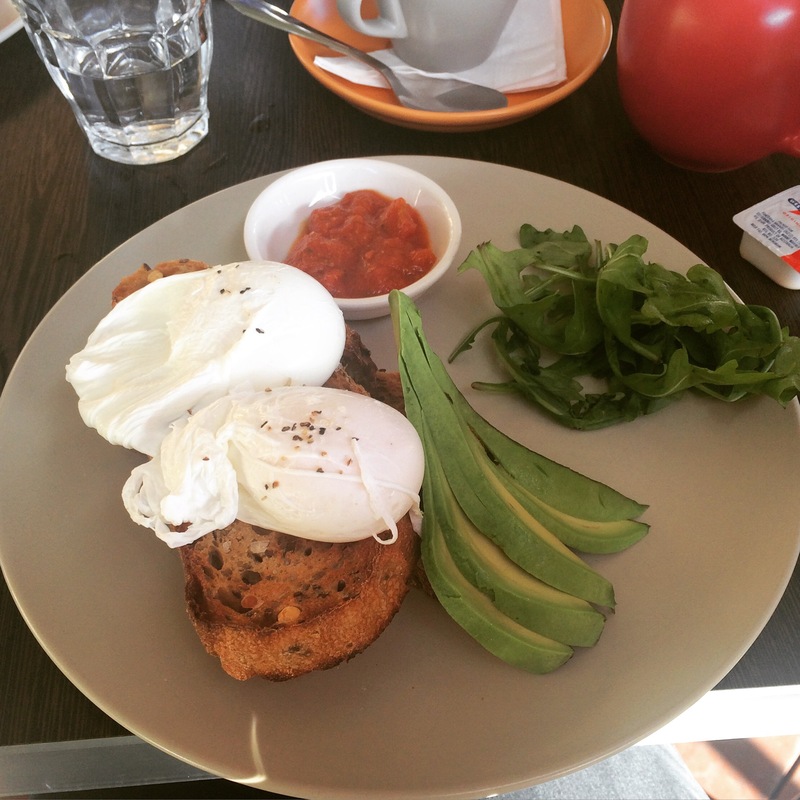 Brio: 36 Vernon Tce, Open from 6.30am 7 days a week!